PTA / PTO members are more than welcome to contact us and book our Instructors for presentations and quality workshops. Anytime. We are more happy to give back. FREE COMMUNITY EVENT - Available in your Schools by Request. 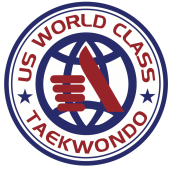 These are topics that we cover daily on "mat chats" during our classes at US World Class Taekwondo Bethany. Let us empower your children and help them acquire the skills to better handle, identify and avoid these situations. and whenever all the options have been exhausted teach them how to protect themselves. Learn how to defend against Wrist Holds, Grabs or Choke Holds and how to leverage your weight. Call us to reserve your spot at our next workshop. 20 spots available Only. Would you like to book us for a corporate or group event? Register Here.